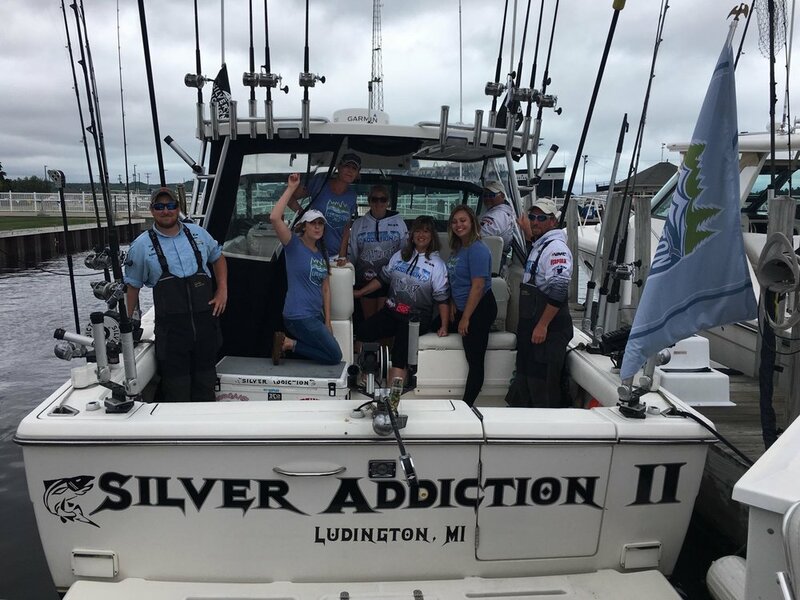 Our goal is to share our experience and expertise with you and your guests so that you can enjoy the thrill and excitement of Great Lakes' big-game fishing at its best! With our professional level of service you can expect a relaxing and comfortable fishing experience, in a safe and enjoyable environment. 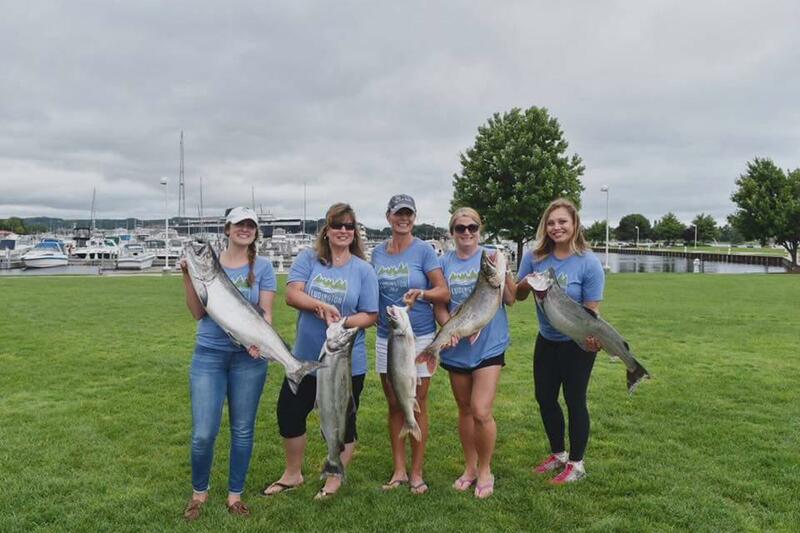 Whether your objective is to entertain business clients, catch the trophy of a lifetime, or just enjoy a day on the water with family and friends, we can provide the atmosphere and service to ensure that your outing is a complete success. Captain Mark Williams has been fishing the Great Lakes since the age of six, and is a second generation charter captain. The boat, Silver Addiction II is a Tiara 3100 Open LE, one of the newest and most meticulously maintained vessels in the Lake Michigan Charter Fleet. We have all the top of the line gear and electronics to make your day on the water memorable and successful. Call us today to book your trip of a lifetime! 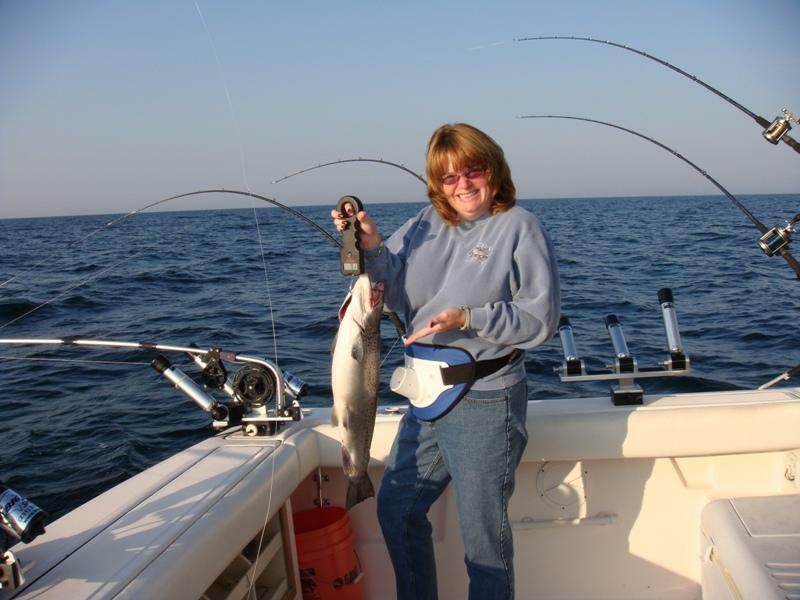 Our goal is to share our experience and expertise with you and your guests so that you can enjoy the thrill and excitement of Great Lakes' big-game fishing at its best! With our professional level of service you can expect a relaxing and comfortable fishing experience, in a safe and enjoyable environment. Captain Mark Williams has been fishing the Great Lakes since the age of six. He is a second generation charter captain, and worked on his father’s charter boat from 1979 to 1992. 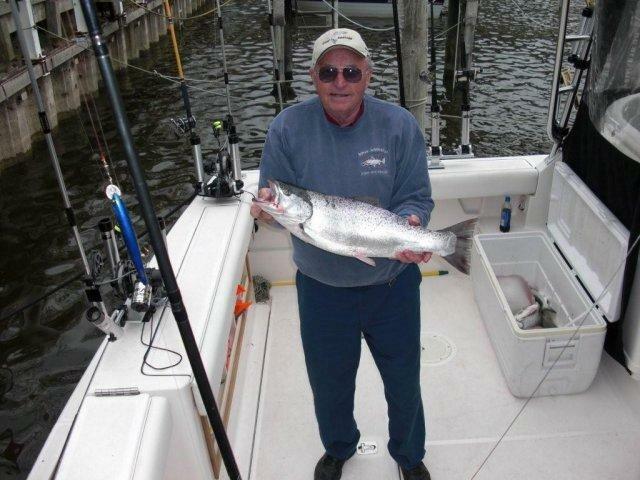 His experience on the Great Lakes ranks with the best in the business. He is constantly working to perfect his abilities and develop new techniques in the pursuit of Great Lakes' salmon and trout. Capt. Mark has fished each of the Great Lakes and his passion for fishing and the outdoors is unmatched. Capt. Mark is also the current President of the Detroit Area Steelheaders. He was the DAS Skipper of the year in 2008 and 2009, and has been a Top Ten Skipper since 2001. It is finally time to give credit where credit is due. 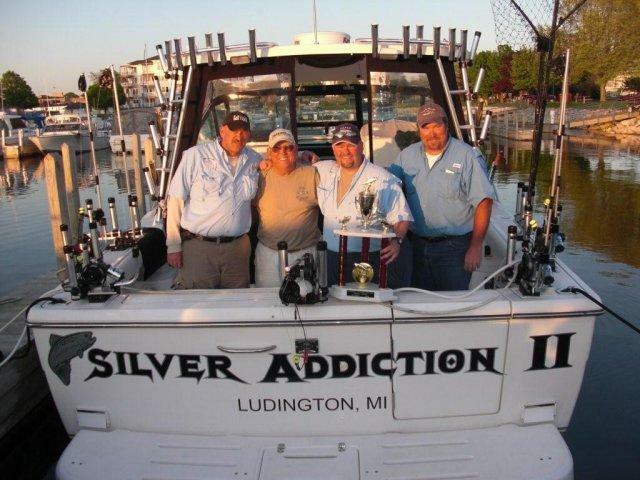 I could not make Silver Addiction perform at a high level without the great support and effort of our first mate Bradon Ingle. Bradon has been fishing all of his life and has been working with us for the past three years. Bradon is a tremendous asset to me when outside business, or the wives, call us away from the boat. We all believe that it is necessary to have a mate on the boat to give the customers the best Great Lakes Salmon experience possible. Bradon's outgoing personality and eagerness to put every fish in the boat makes him the perfect fit to our boat. Bradon is a licensed mate and is in the USCG Mates Program! 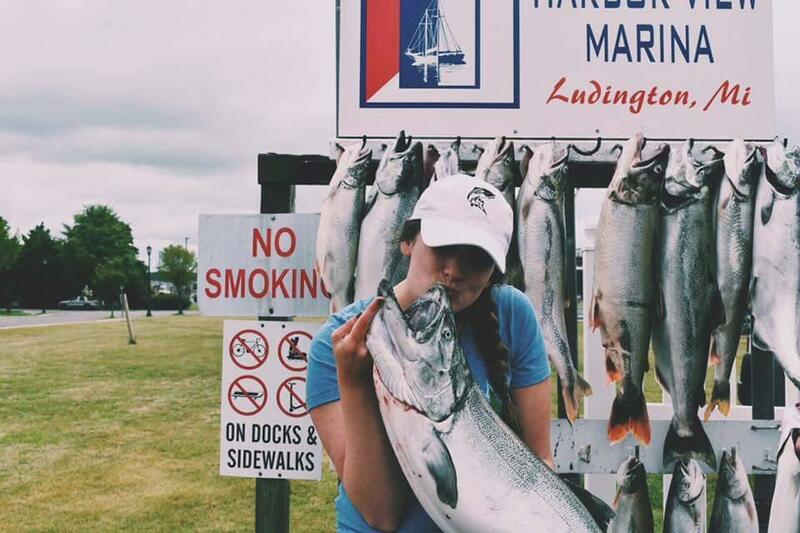 Ludington, Michigan is world-renowned for it's incredible salmon and trout fishery.